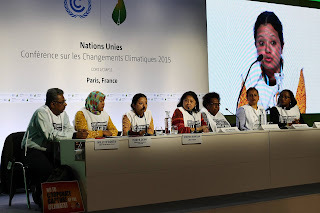 PARIS, 13 December 2015 – Asian activists joined climate justice groups in denouncing the newly-agreed UN climate deal, saying that it has no truth nor substance. “After two weeks of hype, the US, EU, and other rich countries have shunned even more of their huge responsibility for climate change. And they are piling them on poorer and more vulnerable ones like ours in Asia and others in the global south, which already bear the brunt of the impacts,” said Lidy Nacpil, coordinator of the Asian Peoples Movement on Debt and Development (APMDD), who hails from the Philippines. The Paris climate summit delegates of APMDD member organizations said that, despite text on decarbonization by 2050 and other promising passages, the Paris agreement and decision fail on several important tests – mitigation, finance including for adaptation, and loss and damage. “We already experience more freak floods in India and super typhoons in the Philippines with 1⁰C of global warming since pre-industrial times. But the Paris agreement not only settles for a minimum of “well below 2 degrees Celsius” with only a nod to 1.5⁰C. 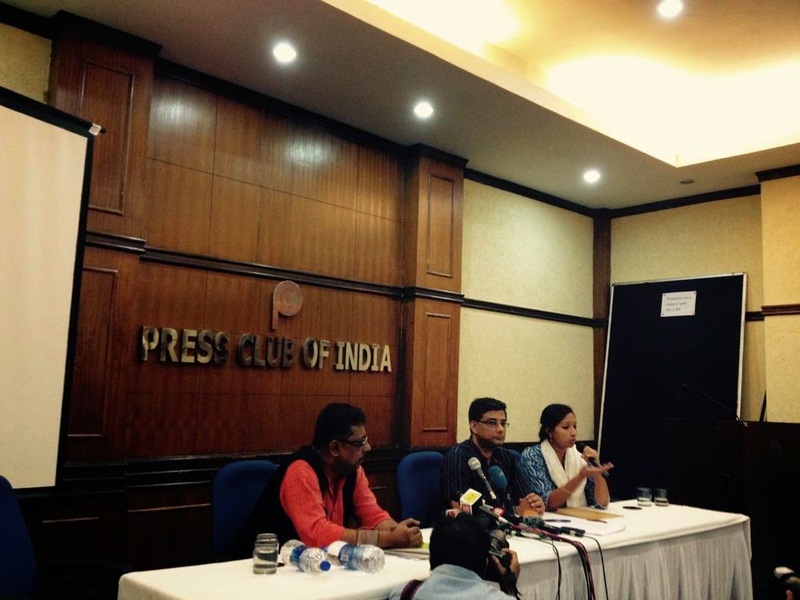 The weak national targets pledged even before Paris, combined with the absence of a global carbon budget or a timeline for reducing emissions in the agreement, keep us on track to a devastating 3⁰C or more,” said Willy D’Costa, convener of the Indian Social Action Forum. “The Paris agreement did not deliver new climate finance needed by developing countries to hasten their shift to clean energy and help their peoples adapt to climate impacts. It even weakens previous climate decisions by extending the deadline for finance from 2020 to 2025,” said Titi Soentoro, founder of the Indonesian group Aksi! for Gender, Social and Ecological Justice. “The loss and damage mechanism established two years ago, in the aftermath of typhoon Haiyan, has been reiterated but also gutted by the Paris agreement. The US, EU and its allies have successfully swept away liability and prevented already-affected countries like ours to justly demand compensation. Even worse, several developing countries let this slip,” said Sammy Gamboa, secretary general of the Freedom from Debt Coalition in the Philippines. But APMDD insisted that despite these big setbacks, their movements and many others across the world will continue to fight for climate justice beyond Paris. “Our struggle does not end in Paris, which is why despite the protest ban, we joined thousands of people to mobilize at the Arc de Triomphe and Eiffel Tower. Many more continue to march in the streets of Asia and beyond, because we know that it is people power which will solve the climate crisis,” said Saktiman Ghosh, secretary general of the National Hawker Federation in India.